It has been a long time coming. 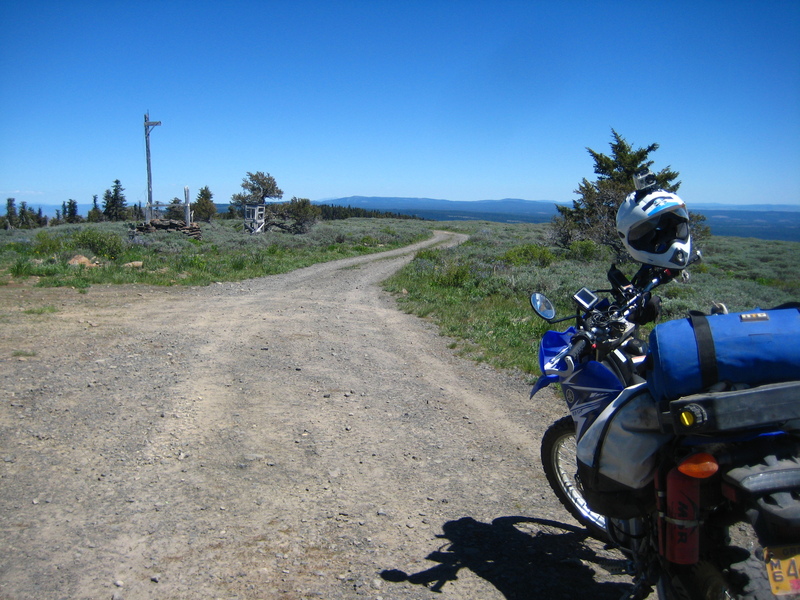 Being a motorcycle rider, with a dirt bias, living in Oregon, riding the Oregon Back Country Discovery Route (OBDR) is a natural consequence. I thought about it for too long, and it finally became a reality in July 2010. Making it solo was the main plan. And the most exciting and motivating factor as well. 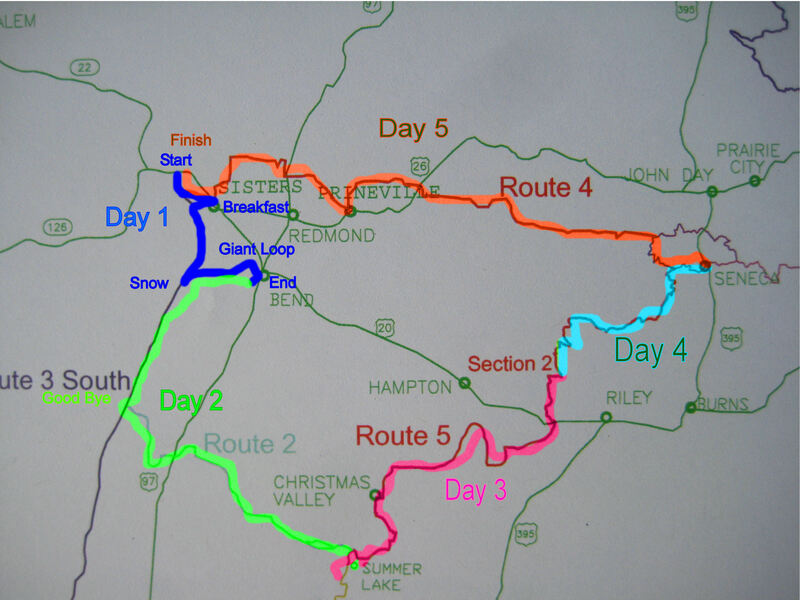 I purchased the official maps of the four routes that compose the Oregon Back Country Discovery Route and connected the four routes into a loop of about 1,000 miles. 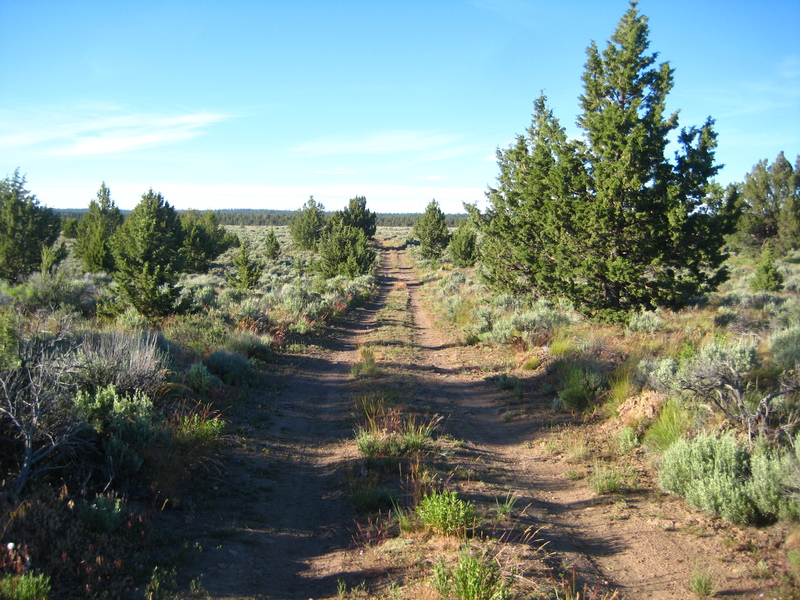 The OBDR routes were designed by people who love driving or riding off pavement in roads that go through beautiful areas and points of interest in Oregon, using the road less traveled as the connecting element. The routes were once officially designated as an official route, with signs and all the good stuff. Well, a few years back environmentalists managed via a law suit to require the state to eliminate all signs that would make these routes as official routes. So now the OBDR lives in the maps you can purchase from the Oregon Off-Highway Vehicle Association. 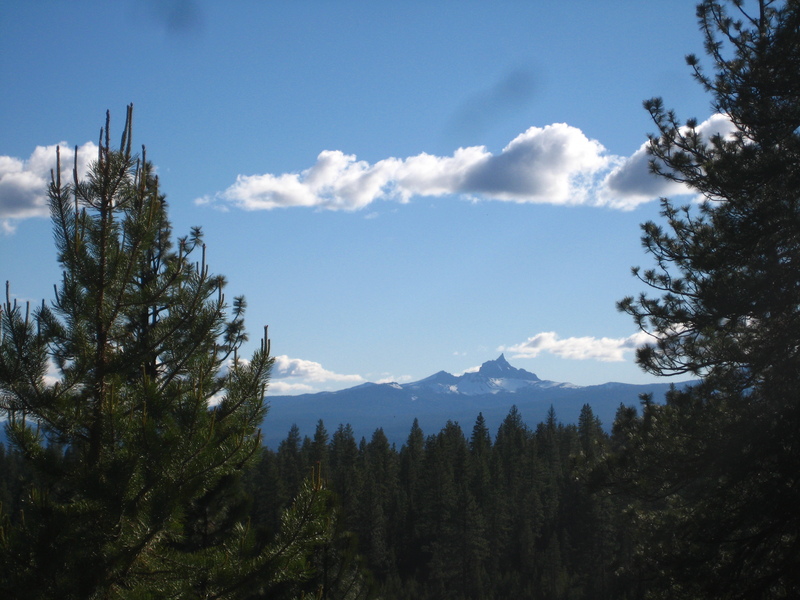 Route 3 goes in the north/south direction, on the Cascade range, from Sisters all the way to the border with California. 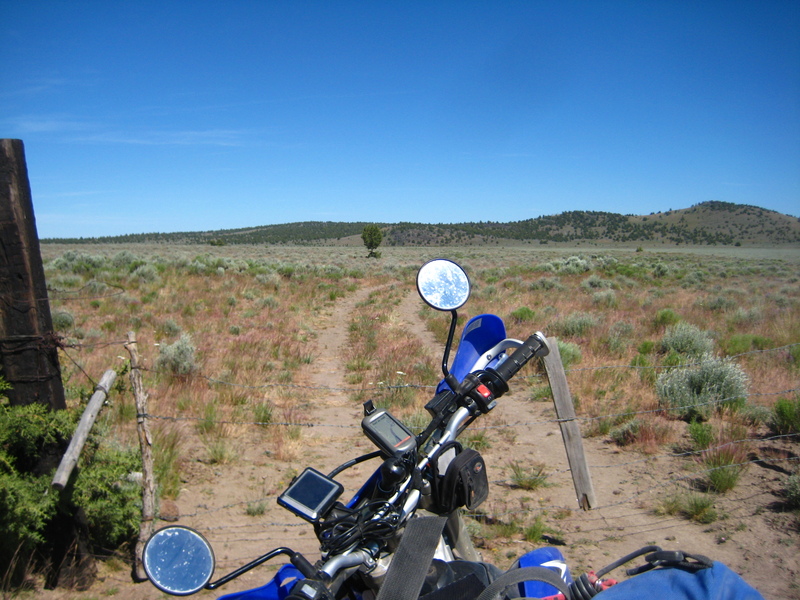 Roads are mostly two-tracks, all doable on a regular dual-sport motorcycle or high clearance vehicle. Only thing I recommend on this part of the route is to observe the time of the year. Two main factors: snow in late Spring early summer. And mosquitoes right after snow has melted. If you are doing the entire loop, as I proposed here, be aware that the south portions of Route 5 can be really hot in August. Here is a video of the snow. I had to detour from this route because the snow became impassable at one point. Because of the detour, I was slowed down. I spent the night halfway on this route. The next day, continuing south I made it to Crescent Lake. There I connected to the Route 2 that runs east/west from Crescent Lake to Summer Lake. This is a short route, but it goes through some lonely roads. But the roads are also the easiest. At the end of the day I was arriving at Summer Lake. The next morning I took Route 5, and now I will be going North. Route 5 runs in the south/north direction, starting at the California border and going all the way to the border with Washington. It is the longest and most challenging route. 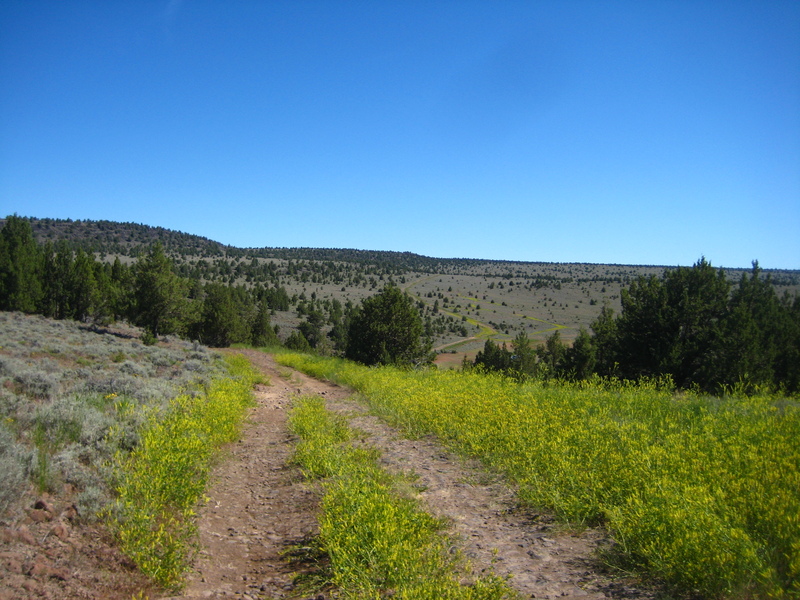 Route 5 is the real Oregon Back Country Discovery Route, in my opinion. 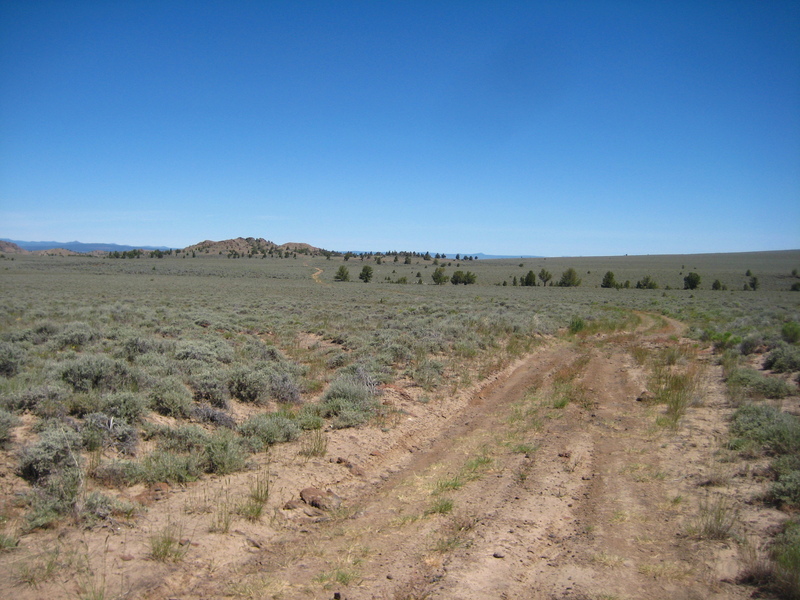 Route 5 includes areas where the roads are actually a trace of a formerly existing road. 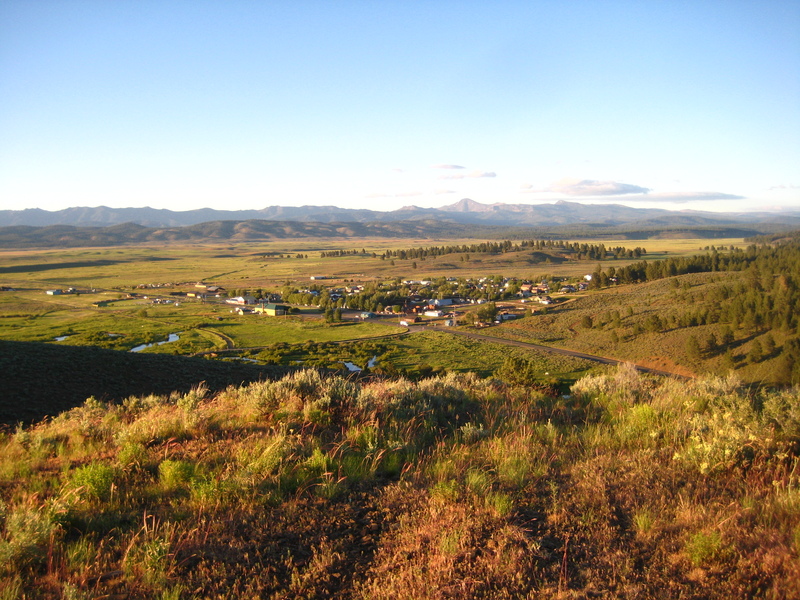 You will go through several private properties and cattle ranches and their respective gates. If you open a gate, make sure you close it! You will go through a few sandy patches. Not too much, just enough to keep you honest. 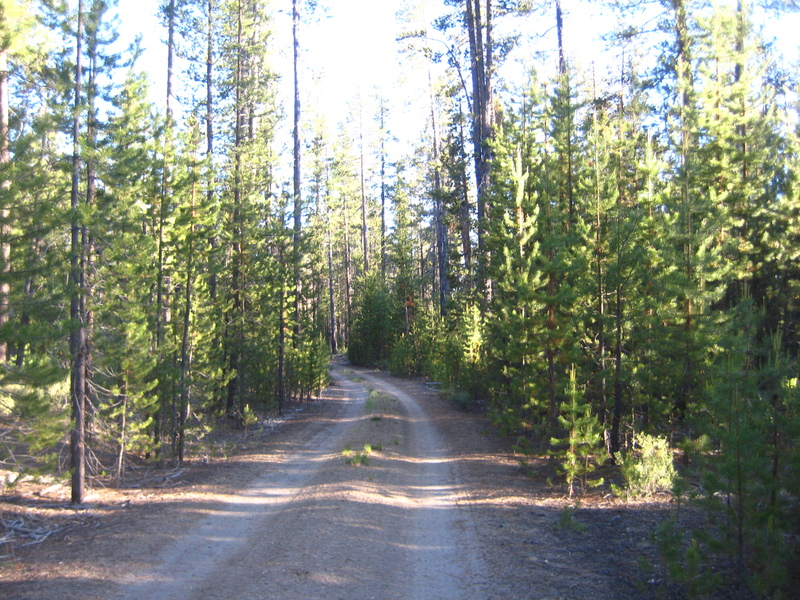 I camped at some point on Route 5, a few miles north of Hwy 20. The next morning I continued on Route 5 until I reached Seneca. I spent the night at the Bearcat Motorcycle Resort. Here I entered the last leg of the trip. Now I would be traveling west. Route 4 goes east/west, from Seneca to Sisters. Route 4, OBDR. July 2010. I traveled on Summit road for a while. Going from top of mountain to top of mountain. I made it home by the end of the day. The bottom line is that by connecting the four routes, I made a large loop in the middle of the state. I rode the loop in five days in the first week of July, 2010. This was my greatest adventure on a motorcycle. Rising solo, on unknown terrain, in remote areas made it into such an adventure. At the same time, I was never more than a day’s ride from home. 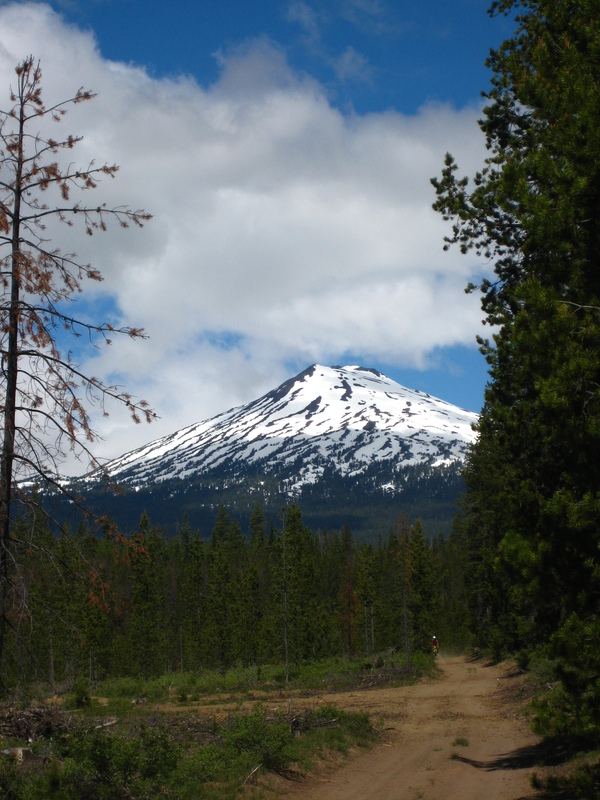 This is the beauty of Oregon and this loop. 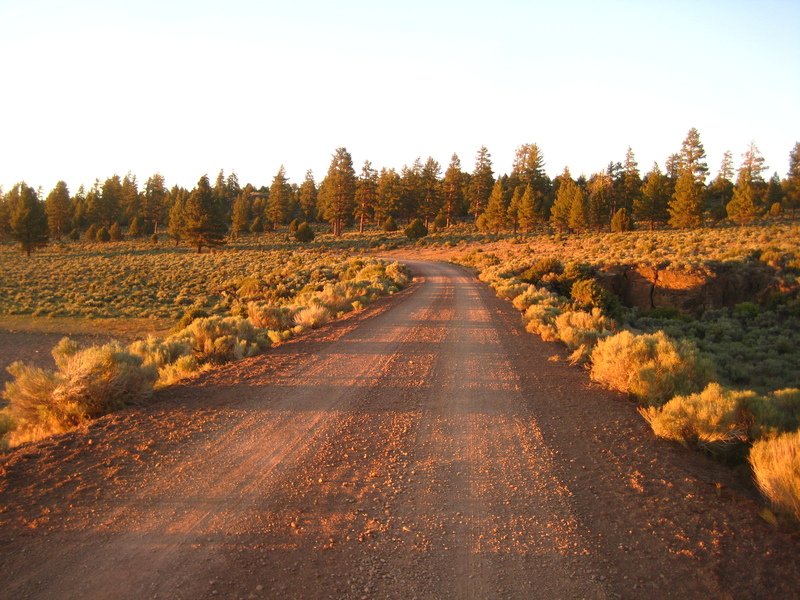 Plenty of spaces to get lost, with varied types of landscapes and roads, and you are never too far from home, no matter where your home is in Oregon. Gorgeous! You are so lucky calling this awesomeness your backyard. Thank you. I wait all winter for the few months of riding we get. 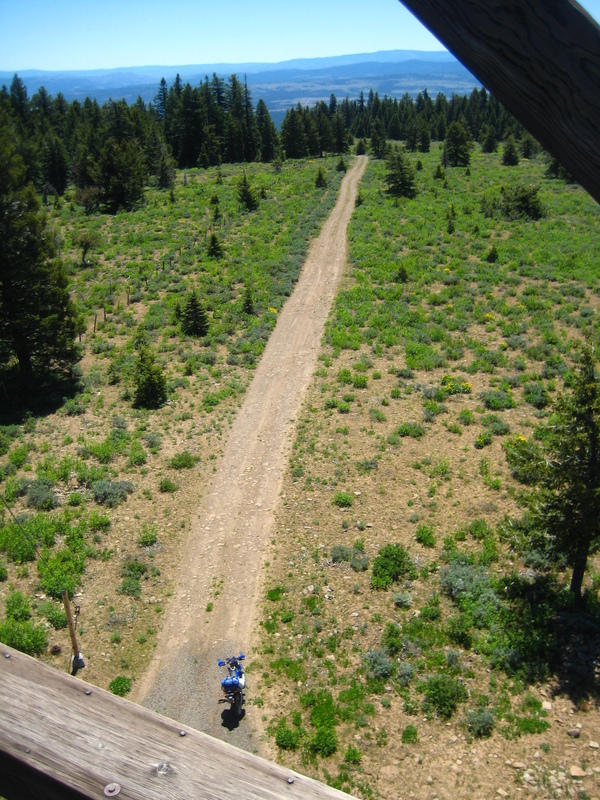 But we get to ride, it is always beautiful, no matter where you go for a ride in Oregon. this is exactly the route I want to do. I just bought a 2005 dr650 with 938 miles. It is completely stock so I need to add a few things to make the trip. Where did you get the maps and did you have any issues along the way with them such as blocked roads and what not? Have fun! Your bike should do well, and at less than a 1,000 miles for a 2005, what a find. I am planning a trip with friends on Route 4 in a couple of weeks. I see that you did it in 1 day, is it that easy? We gave ourselves 3 days, although we will have full size trucks in our group. I haven’t been there since 2010… some of these roads change from year to year depending on how the winter was, changes in local activity. Some of these roads have no scheduled maintenance. But route 4 and route 2 were the easiest routes on the OBDR series, in my opinion. Now, what is easy for a single motorcycle, with an experienced rider, may not be applicable to a full size truck and what I assume to be a large group of people (slower going, frequent stops, chatting, discussing routes, etc. all eat travel time – but that is part of the fun, right?). Having said that, considering the relative short distance of this route, three days should be plenty of time, even if you have to detour every now and then because of a fallen tree (they should be all clear by now) or because the route is now narrow for trucks due to overgrown trees, etc. All in all, it is fun to be out there. I wish you great fun! Hey Mark, the Giant Loop bag is an awesome bag – the one I have on the WR is the Coyote! I did not secure it with the fender clips that come with it. I have the Yamaha rear rack on the bike, so I secured the GL bag on the passenger peg mounts and on the rear rack. It did not move! Mods to the bike? Aside from the rear rack and Ricochet bash plate, the bike is all original as far as I remember. I carry a gallon of gasoline with me, since its range is rather limited with the 2.2 gallon tank. Thanks for the response. I also have the Coyote GL bag. It sounds like I need to get a rack. Also, did you use the standard gas tank or upgrade to a larger tank? Also, what kind of tires do you have on the bike? I’m looking at doing this trip solo as well? Do you take a SPOT and/or other type of locating device with you? I carry a gallon of gas with me, and I now have different tires on the bike. I think they are Dunlop 606. But at the time of the trip on the OBDR I believe I had the original tires. Yes, I had a Spot device with me for that trip, you will go through some very remote areas, I recommend if you go solo, take a spot or similar. I have Dunlop 606s on my 2014 WR. So all you took was a gallon of gas? Ever have any issues with close to running out of gas? Also, I also have a SPOT which I will take. I watched the videos of you riding, it looks like you hit some snow. My hat is off to you, riding the OBCDR solo appears to be no easy feat. I hope to do the same…I appreciate your time in responding to my questions. I appreciate it. Hi Mark, although you will go through some desolate areas, if you plan well, 3.2 gallons should always be enough. I did carry two MSR bottles, that, the two of them together, gave me another half-gallon of gas. I don’t remember if I ever had to use them. With 3.2 gallons (the bike’s tank and the extra gallon) I could go 170-180 miles before possibly running dry. The extra half-gallon would make it a 200 miles range.